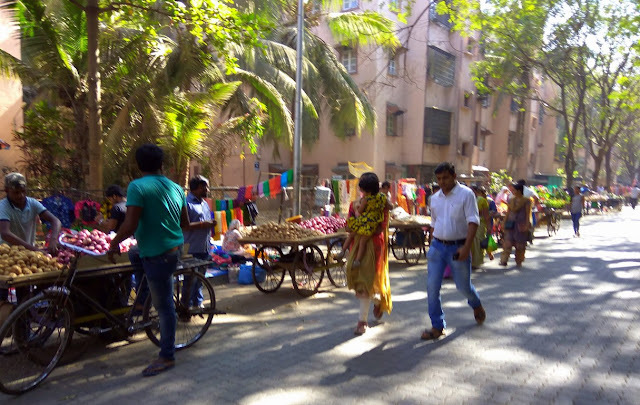 The morning bazaar in Bandra east. 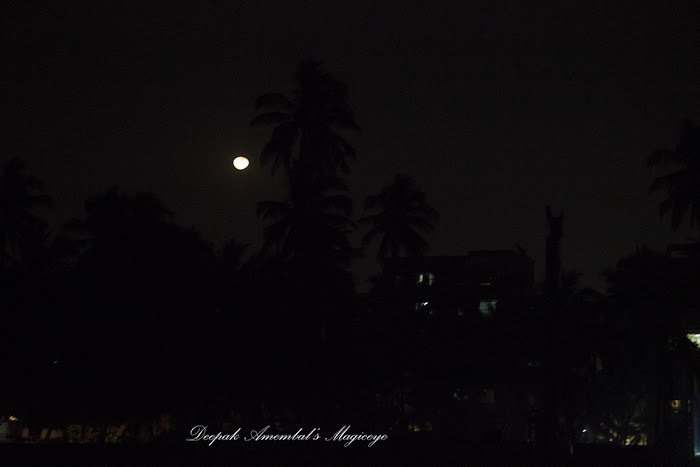 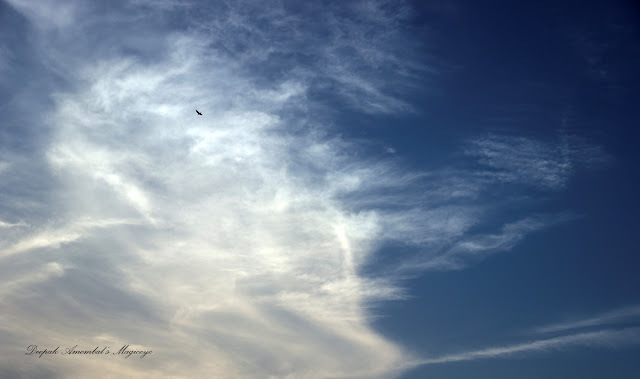 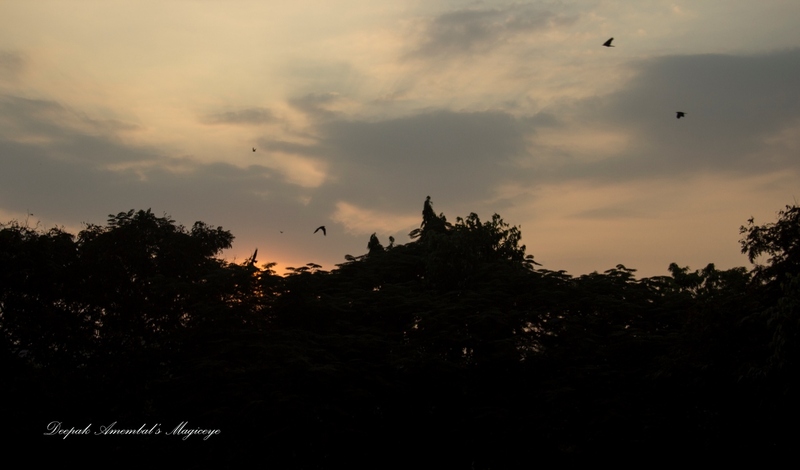 The Mumbai sky at dusk last evening in Bandra east. On the way to the morning market in Bandra east. 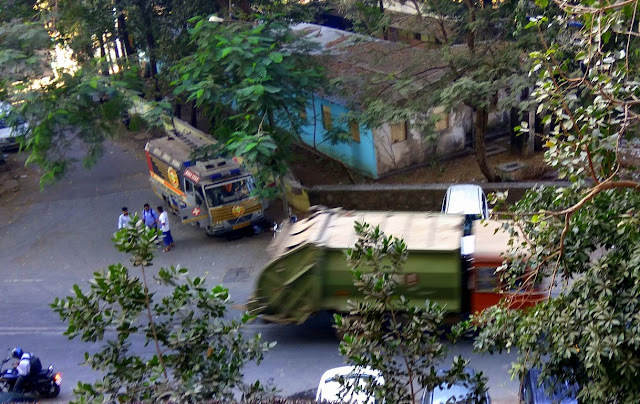 The Garbage truck on its morning round in Bandra east. 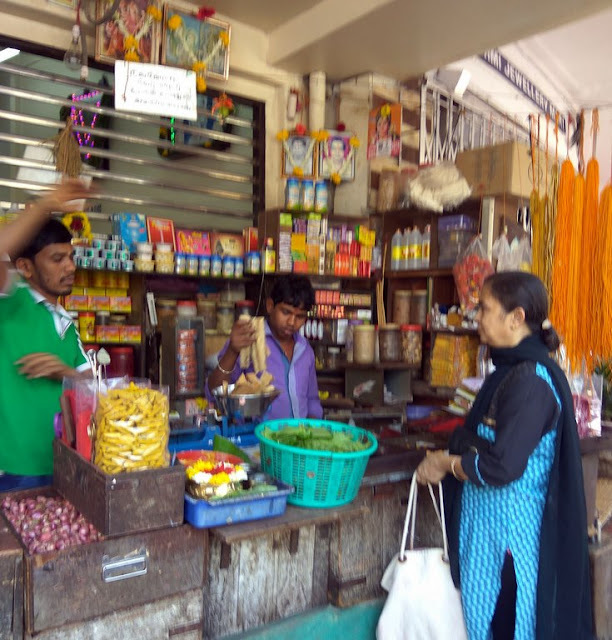 A shop in Matunga where one can get most of the stuff needed for any Hindu religious ritual. 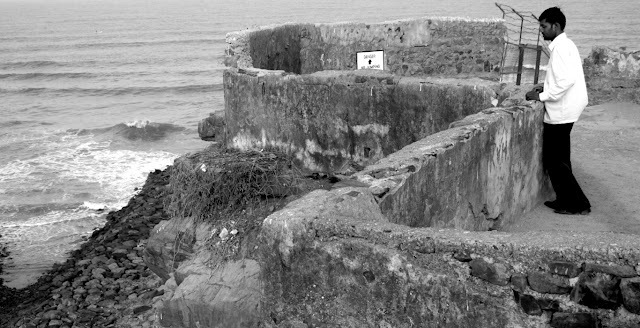 Seeking solitude at Bandra fort. 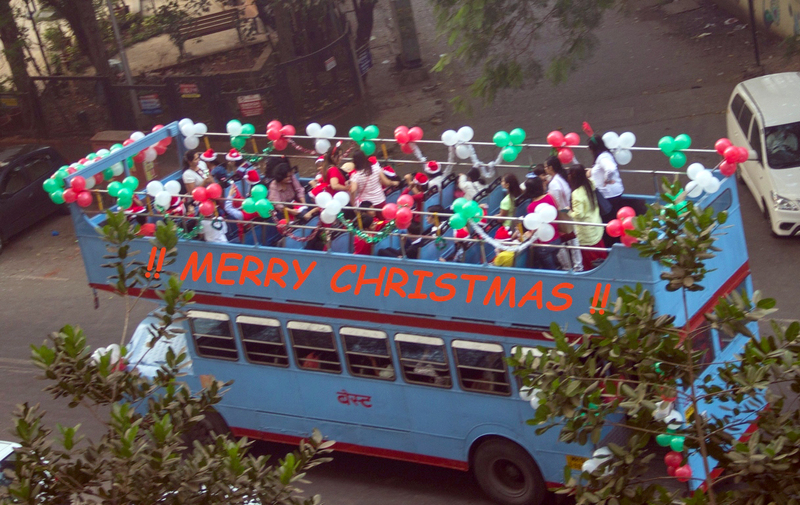 Little Santas from Bandra East going for a Christmas ride in a Bus. 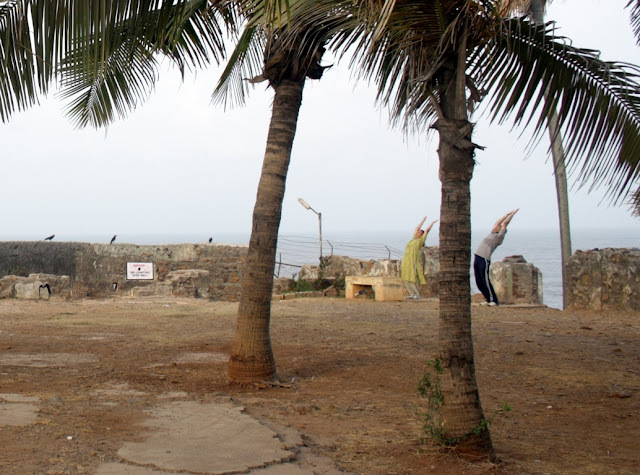 Keeping fit at Bandra fort. 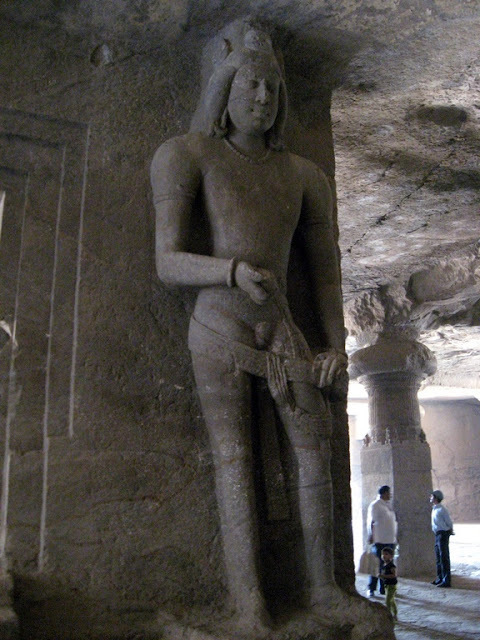 A beautiful figure sculpted out of the rock in one of the caves at Elephanta dating back to between 5th and 8th century. 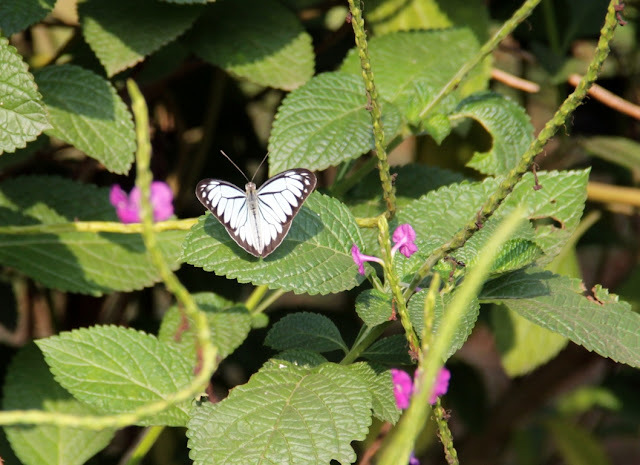 A pretty butterfly display of a heart in Mahim Nature Park! 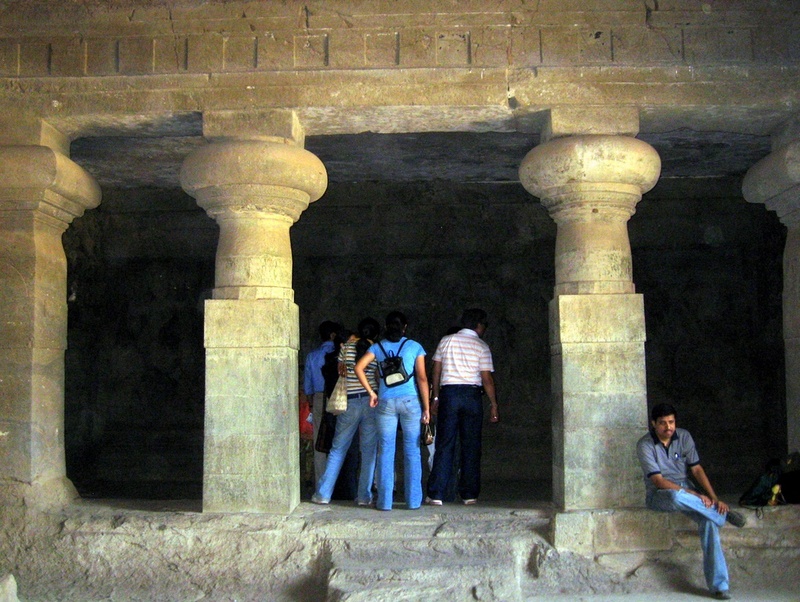 Tourists exploring the Elephanta caves. 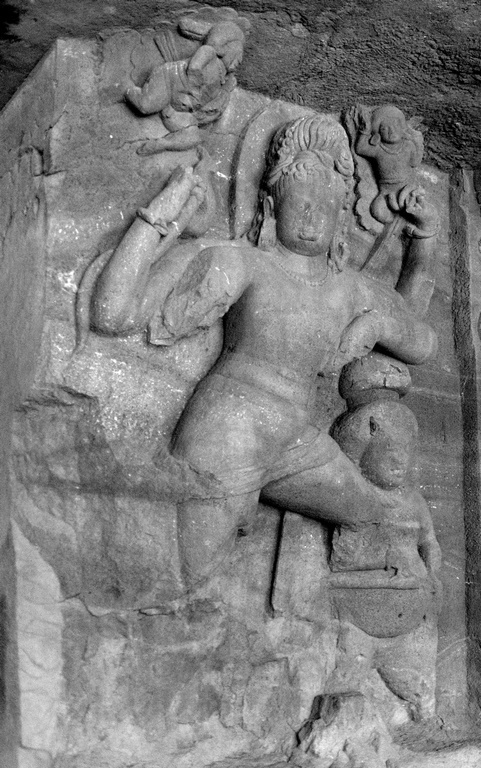 Mural carved into the rock at Elephanta caves in Mumbai, dating back to between 5th to 8th centuries, designated a UNESCO World heritage site in 1987. 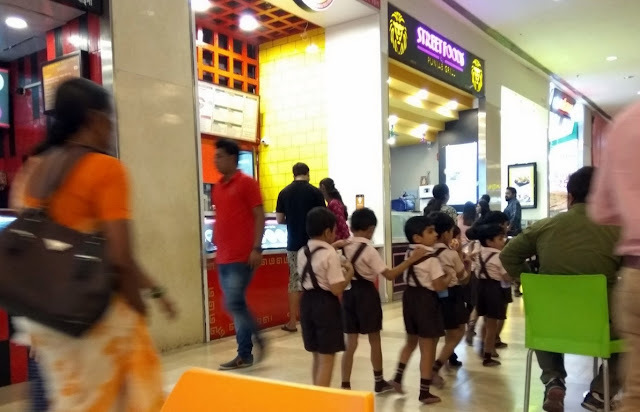 School children escorted to a food court in a shopping mall for lunch. 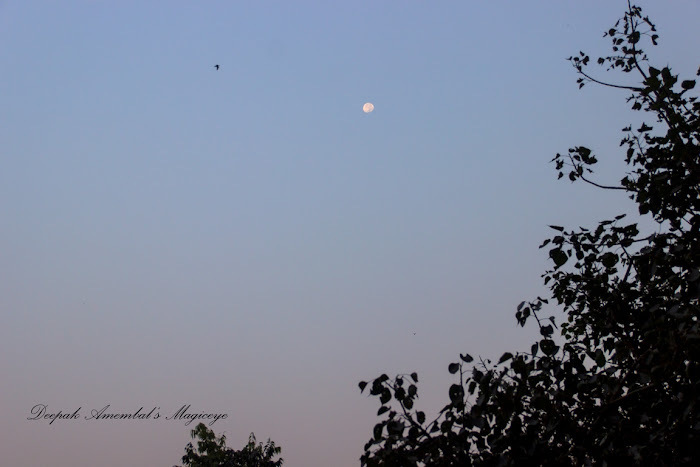 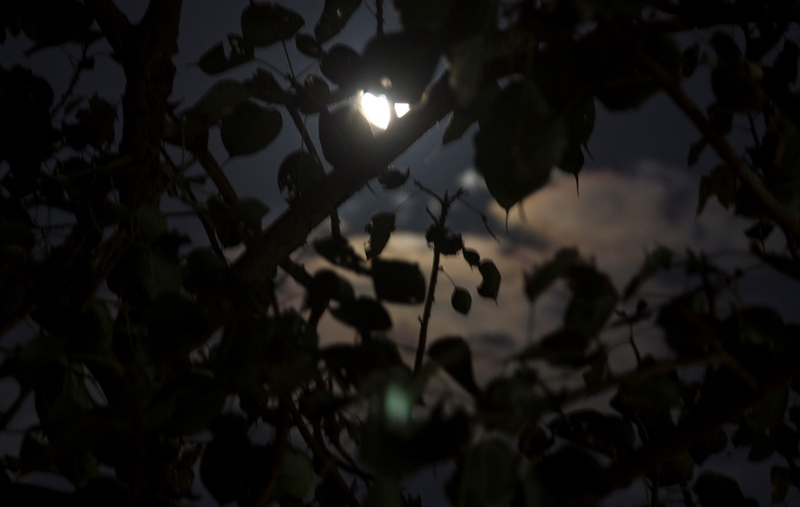 The full moon seen from my bedroom through a lattice of tree leaves. 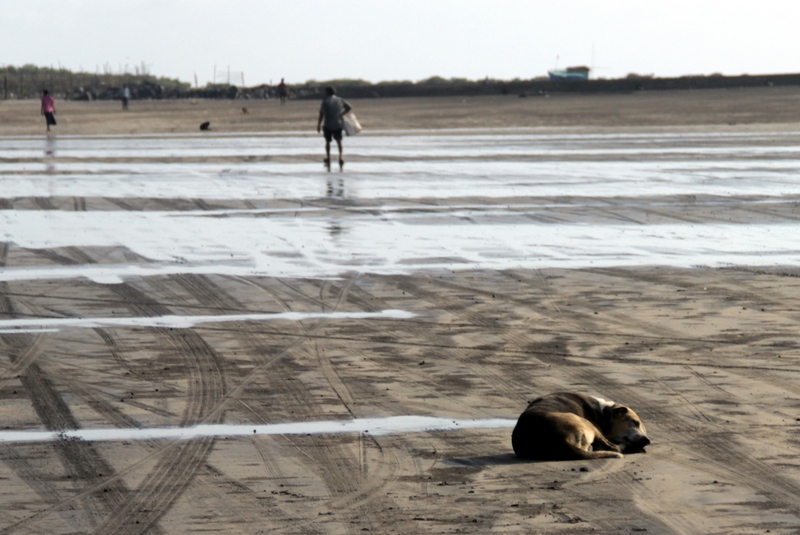 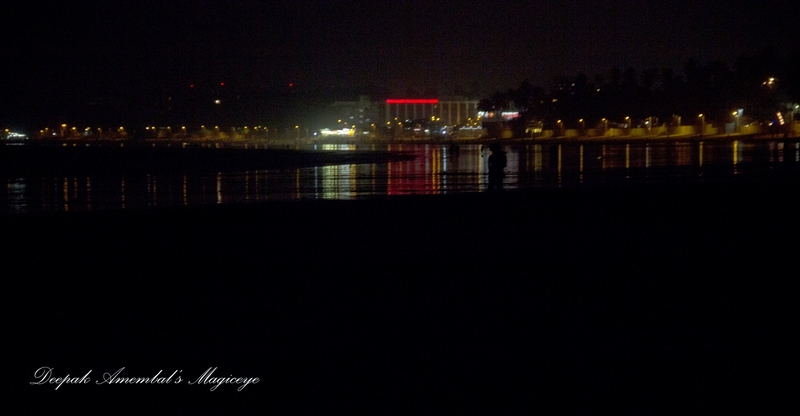 A stray chilling on the Gorai beach. 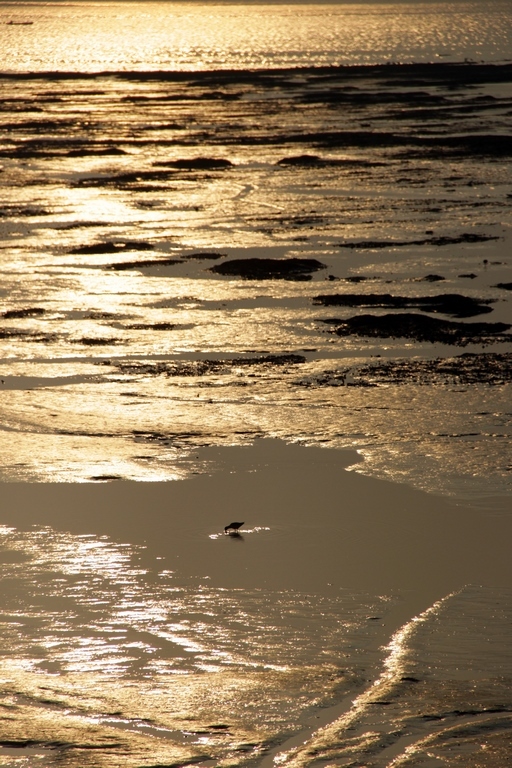 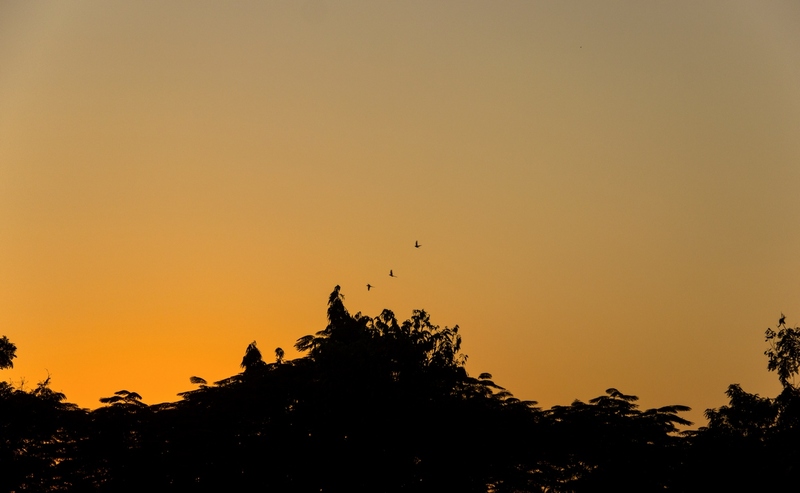 Golden dawn in Sewri mudflats. 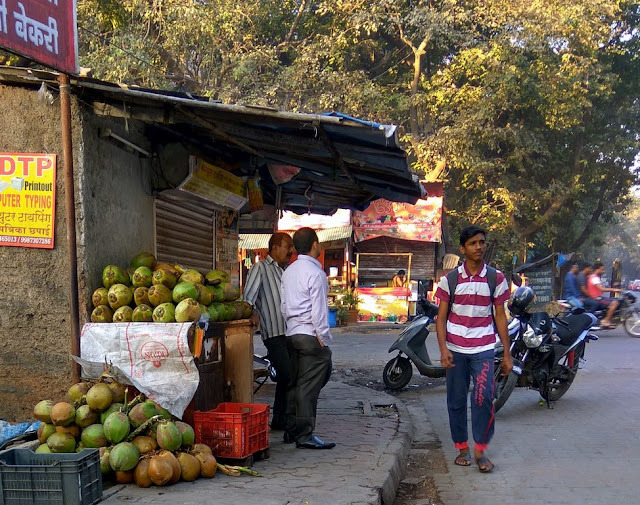 Tender coconuts on sale in Bandra east. 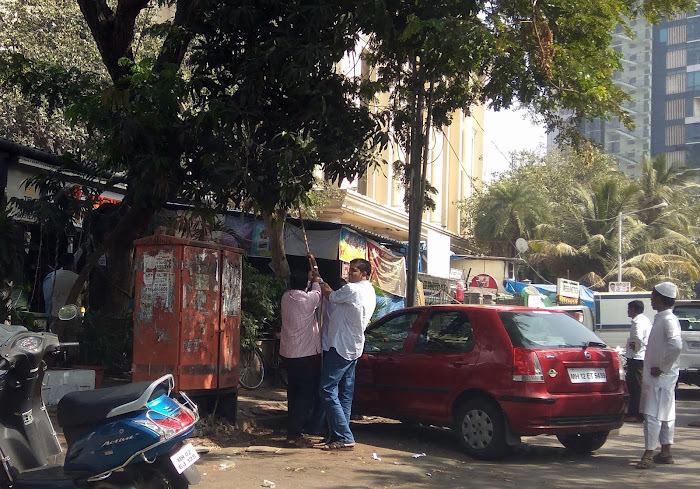 Right on top in Bandra east. 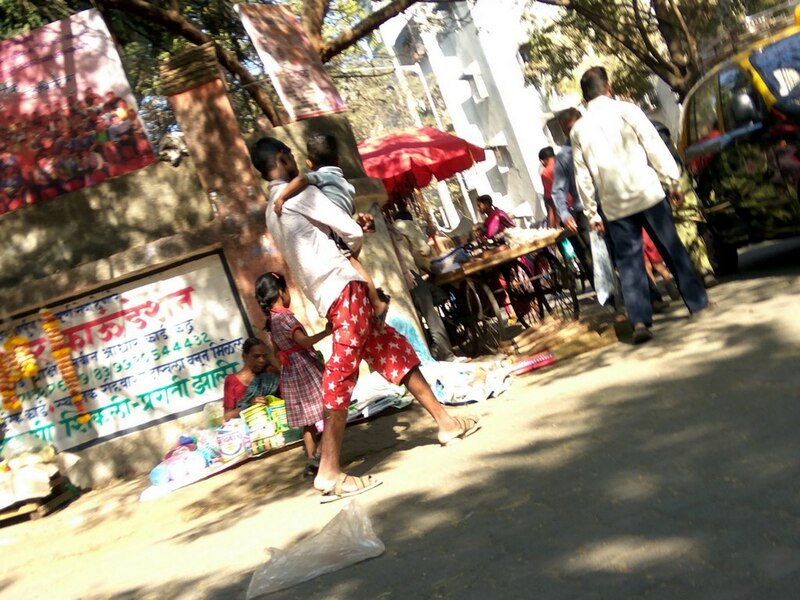 Gurudwara - A place of worship for Sikhs, in Bandra east.